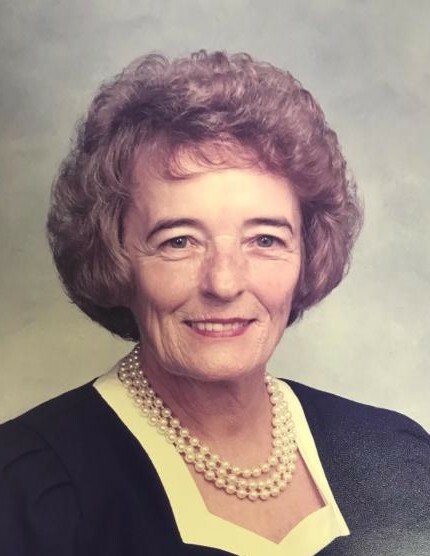 Mrs. Carol W. Love, age 84, of Indian Trail, North Carolina, passed away Friday, November 2, 2018 at her residence. Funeral services to celebrate her life will be conducted at 1:00 PM Tuesday, November 6, 2018 at Golden Acres Baptist Church, 15809 Lawyers Road, Stallings, NC 28104, officiated by Reverend Bruce Pope. Interment will follow at Lakeland Memorial Park, 1901 Lancaster Highway, Monroe, NC 28112. Mrs. Love was born on December 18, 1933, in Union County, North Carolina, daughter of the late Clarence Wooten and Willie Ruth Helms Wooten. She was preceded in death by a son, Earl Love. Carol was a retired cashier at PCA International. Survivors include her daughter, Susan Ruple and husband Marshall of Indian Trail; two sons, Robert Love of Hamlet, NC and Charles Love of Hamlet, NC. There are five grandchildren, Sheryl Love, Sandy Love Alter, Robbie Love, Chris Love and Brian Love. There are seven great grandchildren and one great great grandchild. The family will receive friends from 6:00 PM until 8:00 PM Monday night, November 5, 2018, at Davis Funeral Service, 1003 East Franklin Street, Monroe, North Carolina 28112. Memorials may be made to Hospice of Union County, 700 West Roosevelt Blvd., Monroe, North Carolina 28110 or to Golden Acres Baptist Church.